If you’re sniffing around for the coolest Scooby Doo birthday party ideas, just read on for the GROOVIEST time! You can make Scooby Doo invitations in the shape of dog bones. On the front or on one side of each invitation you can write something like “Scooby Doo Where Are You?”. And then on the inside or the other side of the invitation you can write “Jeremy’s Birthday Party – that’s where!”. For more Scooby Doo birthday party ideas you can write something like “Scooby Doo and the Gang request your presence to help solve a birthday mystery! Join the Mystery Inc. gang at the Malt Shop (your address)” Also add the date, time, and RSVP with “It won’t be a party without all you meddling kids! So please call (add your RSVP number)”. You can finish it up with a paw print on the envelope or as a signature on the invitation. Another idea is to write something like:”Up in the woods (that are dark and damp…), there’s a mystery to be solved at (your last name) Camp. We invite you to collect all the clues, so make sure you wear some athletic shoes! There’ll be running and laughing, and with Scooby’s help we’ll have a really rood rime!!”. 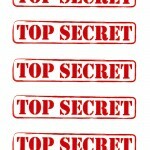 You can also write the invitations in a secret code. 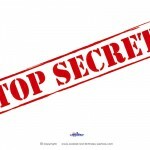 Even try to create a secret code Scooby-style, with things Scooby and the gang usually say, using words and known phrases from the TV show and movie. If you want to have a specific color theme for your Scooby Doo birthday party ideas, it could be nice to use the colors of the Mystery Machine (light blue, light green, and red). You can also add brown as the Scooby color. You can go for a 70’s look (since Scooby Doo and the all the other characters are from the groovy 70’s!). Your decor can have a groove to it (flowers just like the Mystery Machine, 70’s colors, smiley-faces, etc.). In addition to the 70’s decorations you can also go for a Tye Dye 70’s look for plates and table decorations. 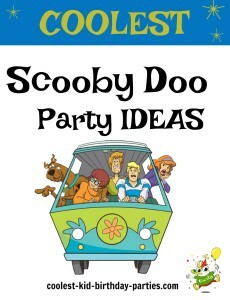 For more Scooby Doo birthday party ideas put toys and accessories of Scooby and the Gang all around the party area. On tables disperse all kinds of Scooby accessories, little spy magnifying glasses, binoculars, and anything else that has to do with Scooby and the gang. On each placecard you can write a child’s name followed by “Doo” – for example: “Tiffany-Doo”, “Ashley-Doo”, etc. Background music is always nice to get everyone into the mood. There are lots of Scooby Doo CDs (from the TV shows and from the movies) you can purchase and play at the party. You can blow-up Scooby Doo balloons and paw-print balloons to decorate your party area. You can also take regular brown balloons, tape on construction paper ears and draw on a Scooby Doo doggy face with a permanent marker. One of those cool Scooby Doo birthday party ideas is to create the Mystery Machine. To do this, take a refrigerator box and cut out 2 rectangles (for windows). Paint the boxes lime green and write “Mystery Machine” on them in funky orange letters. Take leftover cardboard and make orange/red flowers to stick them onto the mystery machine. The kids can take photographs with their heads sticking out of the windows. If you have a close friend or family that has a big van, you can ask them to bring the van a day before the party and decorate it to look similar to the Mystery Van. You can put flower magnets on it, tape on colored paper, and write a big sign saying “The Mystery Machine”. Then on the day of the party you can have the Mystery Machine van drive in at a specific time during the party and all the kids will love it! You can photograph each kid sitting or standing by the Mystery Machine and then send these photos with the thank-yous. If you’re going for a spookier look with your Scooby Doo birthday party ideas, it’s a great idea to use your Halloween decorations along with the Scooby Doo birthday party ideas you’ll find here. If you have a garage, it could be cool to clear it out and use it as the party area (usually garages have that musty air that fits a scary scene). Decorate the walls with masks, cobwebs, hanging rubber spiders, bats, etc. You can cover the walls and windows with black paper or fabric and dim the lights. Hang crepe streamers from the doorways for a little added mystery. Set up a cave by draping blankets and sheets over the furniture. You can also consider having a fog machine for that heavy and dusty mysterious mood. Scooby and Shaggy were always running from ghosts so one of those cool Scooby Doo birthday party ideas is to decorate with ghosts. Take a white plastic table cover and cut it into four equal pieces. Then, for each ghost inflate an 11” black latex balloon and drape one of the four pieces of table cover over the balloon, leaving the tied end of the balloon on top. Cut a very small slit on the top of the white table cover and then push the tied end of the balloon through the slit. Then, carefully mark and cut out eye holes from the table cover. Attach curling ribbon to the ceiling and then tie it to the tied end of the balloon that is coming out of the slit. Your ghosts will then come to life whenever someone goes by (when the wind moves them). You can add all kinds of signs that are written in a scary font, for example “Do Not Enter”, “Zoinks, Jarred is 6!”, “Meddling Kids Beware!”, “Jeepers, Watch Out for Creepers”, etc. and have pictures of ghosts or tombstones surrounding the text of the sign. You can also have signs saying things from the TV show and movie, like “Scooby Doobie Doooo!”. You can have signs saying things the way Scooby would say them, for example if your kid’s name is Jarred, you can write “Rappy Rirthday Rarred!”. One of the coolest Scooby Doo birthday party ideas is to have the guests dress in Scooby garb. You can give the boys a red scarf (for Freddy) or a Scooby dog tag. You or the kids can create their own Scooby Doo tags by using blue ribbon and a yellow and blue construction paper diamond shape with “SD” written on it. Just punch a hole in the diamond and put the ribbon through it. The girls can pick between a headband (for Daphne) and black glasses for Velma (which can be made out of black pipe cleaners). The kids can also wear cool 70’s costume accessories (peace signs, cool 70’s sunglasses, wigs, hats, 70’s necklaces, etc.). It can also be nice to have someone do face painting (painting on people’s faces flowers, peace symbols, stars, etc.). Take a look at all the coolest homemade Scooby Doo costumes. Here’s one of those cool Scooby Doo birthday party ideas. Have the kids create their own dog tags by cutting out the bottoms of aluminum plates, punching a hole to put a string, and carving with a point the name or initials of the child’s name. You can also write the child’s name backward on the tag’s reverse side so that the type is embossed on the other side. Make sure to bend the tag’s sharp edges so that no one gets cut. For the collars, use strips of felt with Velcro and have the kids glue plastic beads and jewels to their collars. Before the party, record small parts from the Scooby Doo TV show (if the party is for older kids try recording sounds or moments that are unusual and that will be harder to recognize). At the party play-back the recording, and have the kids guess the Scooby Doo mystery sounds. They’ll need to recognize which Scooby Doo episode each sound comes from. This can be a really fun ice-breaker activity and one of those Scooby Doo birthday party ideas that is a sure hit. Tye-Dyed shirts go along really well with the 70’s theme. Ask each guest to come with a white t-shirt so that they can tye-dye them. Here’s another one of those really fun Scooby Doo birthday party ideas. Before the party designate in area of the party and set up a spider web maze. You’ll need very long pieces of black yarn string (at the party, each kid will get an end of one of the strings). At the end of each long black string tie a white balloon and draw on a scary face (these are ghost faces). Then weave all of the long black strings all over the area (it’s best if you tie something very visible, like a red piece of paper to the other end so that it is clear to view). Then at the beginning of the party each guest gets an end of yarn and needs to untangle the spider web to get to their ghost. You can also put a candy or little prize in each blown-up ghost balloon, that way when each kid gets to their balloon – they can pop it and find a prize. Take a look at all the coolest homemade Scooby Doo birthday cakes. Another of those simple Scooby Doo birthday party ideas is to bake a cake in a diamond-shaped cake pan. Then decorate it to look like Scooby Doo’s collar, with the blue and yellow colors and Scooby Doo’s initials “SD” (or use your child’s initials instead). You can also make a dog paw print cake easily. Make a round cake and frost. Then take four cupcakes and frost them in the same colored frosting. Then place the cupcakes by the top of the round cake around half of the cake (each cupcake is a dog finger/toe). With the cake you can serve dog-bone cookies. One of the coolest Scooby Doo birthday party ideas is to use the birthday cake as a beginning of a mystery the kids need to solve. Gather all the kids together to sing Happy Birthday and then bring out the cake (with a dark lid over the cake). Then when you open the lid of the cake, the kids won’t find a cake but a torn-and-worn note (burned at the edges) and that will start the mystery! Then the kids start on a scavenger hunt to look for the hidden birthday cake! Create the scavenger hunt Scooby-style, with all kinds of Scooby riddles and clues (each riddle and/or clue could have to do with a different episode or quotes from the TV show or movie – things that the characters have said or done). You can use these printable ghosts as cards to write on each clue. Just print them out on white paper (it’s best if it’s heavier paper), cut out each ghost and write a clue on it for the mystery scavenger hunt. If you’re having a buffet or area the food will be in, you can write a big sign saying what Shaggy would say “Let’s do what we do best Scoob… eat!”. Scooby’s Mystery Pizzas: Pizza! One of Scooby Doo’s favorite foods! You can give each kid two halves of English muffins and let them put sauce, cheese and toppings on themselves. Then bake and serve when ready. Shaggy’s Sandwiches: Shaggy and Scooby also love to eat long size sandwiches! You can make this a buffet that everyone makes their own sandwiches. Dog Bone Sandwiches: Make any type of sandwich the shape of a dog bone with a dog bone cookie cutter. First cut the two pieces of bread into a bone shape and then add the sandwich fillings. Dogs in a Blanket: Buy your favorite brand of hot dogs and croissants. Start by slicing the hot dogs lengthwise. Then unroll the croissants and stuff them with hot dogs. Roll the croissants back up and bake until golden brown. Dog Bones: Use a dog-bone cookie cutter and cut bones out of refrigerator dough bread sticks baking it according to package directions. While the bones are still warm, use a little butter or olive oil and brush the tops with it. Then sprinkle the dog bones with a good amount of parmesan cheese. Into individual bowls, pour spaghetti sauce or marinara sauce and give them to the kids so that they can dip and eat their yummy doggie treats! Raw-hide Bones: Take refrigerated breadstick dough (like Pillsbury), they are about 10″ long, halve them and twist a knot on each end, sprinkle with parmesan, bake and they look just like little rawhide bones! Mummy Dogs: Hot dogs wrapped with breadstick dough and two dots of mustard for the eyes. Tip: It could be fun to let everyone eat out of clean dog bowls. Even write each of their names on each of their dog bowls with puffy paint or a permanent marker. Spooky Drink: You can basically do anything, but a cool idea is to mix sherbert ice-cream with ginger-ale (it’s supposed to create a lot of foam), and then put a big rubber spider on top of the foam. Swamp Punch: Freeze frozen hands (green-colored Kool-Aid in latex-free gloves) and have them float in grape juice! Scooby Doobie Doo Chocolate Drink: Chocolate milk (cold or hot) will do the job! You can also create chocolate milkshakes for that brownish Scooby color. Puppy Chow: Take one package of chocolate chips, half a cup of peanut butter and a fourth cup of butter, and microwave on high for one minute. Then stir, microwave half a minute more until it’s smooth. Then add one teaspoon of vanilla and pour over a large bowl full of 9 cups of Chex and stir. Let cool, and then pour everything into a large Ziploc bag, add half a cup of powdered sugar, seal the bag and shake. Then spread evenly on wax paper to cool. This treat resembles dog food and so you can serve it in little doggy dishes. K-9 Candy: You can put candy that looks like dog treats in dog bowls. The kids will love this! Kooky Chew Treats: Also served in dog bowls – these are inexpensive cookie treats that look like real dog treats! Doggie’s kibbles and bits: Any mix of dried cereals like Chex or any other crispy cereal, pretzels, trail mix, etc. Ice Cream made by the Malt Shop Chef! Spider Oreo’s: Separate the two parts of an Oreo cookie, put three strands of licorice across the cookie and put the top of the cookie back on. Use two dots of icing to anchor red hots or M&Ms for the eyes. Doggie Bone Cookies – Use your favorite sugar cookie recipe, or purchase a package of Pillsbury sugar cookies. Follow the instructions on the package, roll out the dough and cut into dog-bone shapes with a dog-bone cookie cutter and bake according to the directions. Decorate a cereal box and it’s label to look like a real dog-food box, you can write on it something like “Scooby Chow” or anything similar and use it to refill the ‘puppy chow’ during the party. One of those simple Scooby Doo birthday party ideas is to purchase bags with handles and affix an official “Mystery, Inc.” on them (create a stencil and either spray paint or color in). Inside, you can put Scooby Doo tattoos, Scooby Doo stickers, Scooby Doo accessories, scooby doo ears, scooby doo tags, and ghost lollipops (these are made by taking dumdum lollipops and covering them with coffee filters; then use a twist tie around the “neck” area and draw circle eyes and mouth on the head area; very cute and easy to make). 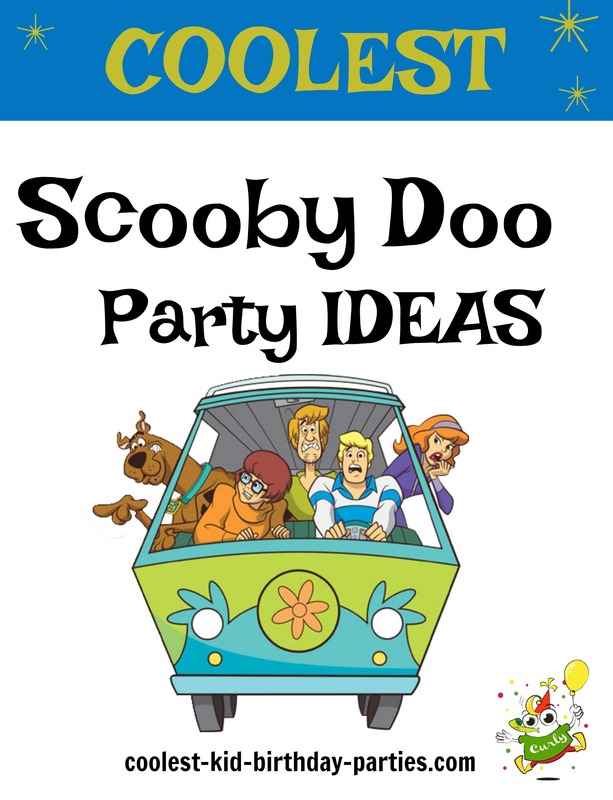 There are lots of great game Scooby Doo birthday party ideas that fit perfectly with this theme.